Getting charged with a criminal offense is incredibly confusing. What are your rights? What should you do? What’s the extent to which you should cooperate with law enforcement professionals? Knowing the answers to these questions is one of the biggest prerequisites for getting a positive outcome. Otherwise, you risk self-incriminating yourself and making the situation worse. What Is Self-Incrimination in Arizona? This statement is a part of your Miranda Rights. The Miranda Rights should be read to you whenever you’re charged and taken in custody. The law enforcement professional has an obligation to remind you that anything you say may be used against you in court. Thus, if you choose to speak after you are read the Miranda Rights, you risk providing the law enforcement professionals with information they wouldn’t have received otherwise. Such acts are known as self-incrimination. Invoking the right to remain silent is the best way to protect yourself from self-incrimination. You’re under no obligation to answer the questions investigators may have. Call your criminal defense attorney when in doubt. The lawyer will give you a better idea about Arizona laws and your rights. Furthermore, your attorney will be present during questioning sessions, advising you when to speak and when to remain silent. Whether you’re arrested or just being questioned, you have the right to remain silent. To invoke your right, you will simply need to make a verbal statement informing law enforcement professionals that you are going to remain silent. In some instances, the decision to simply remain silent without informing police officers that you’re invoking your constitutional right may be perceived in the wrong way. You could be viewed as uncooperative, which is something you definitely don’t want during a criminal investigation. Once you invoke your right to remain silent, a certain set of rules will become effective immediately. When you’re a defendant, your refusal to speak cannot be used against you. Thus, the fact that you’re not speaking to law enforcement professionals cannot be used to determine whether you’re innocent or guilty. You also have the right to remain silent in a civil lawsuit. If you do so, however, you may be prohibited from introducing certain types of evidence. It would be best to talk to a lawyer about the best course of action under such circumstances. What Happens if Your Miranda Rights Are Violated? When a person’s Miranda Rights are violated (you’re not informed of the fact that you have the right to remain silent), the information you provide during questioning cannot be used as evidence against you in an Arizona court. In addition, being coerced to provide a statement is a violation of your rights. Whenever you’re subjected to coercion by a police officer, the statement will be inadmissible. The same applies to evidence that law enforcement professionals obtained as a result of the coercion. You have Miranda Rights, whether they’re read to you or not. If you suspect that legal procedures have been broken, you’ll need to share this information with your Arizona criminal defense attorney. The lawyer will work hard to prove the violation and get certain types of evidence dismissed. 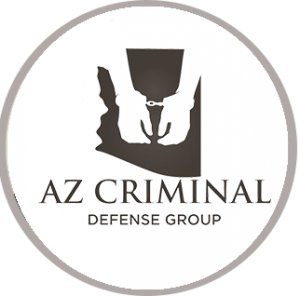 Click here for information on Arizona extradition laws.